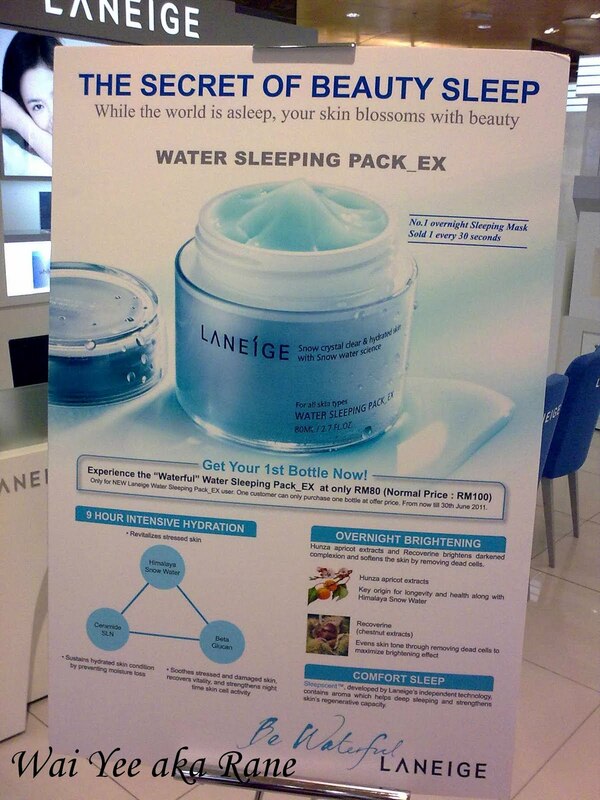 Laneige Water Sleeping Pack_EX fans, there are some promotions for you! 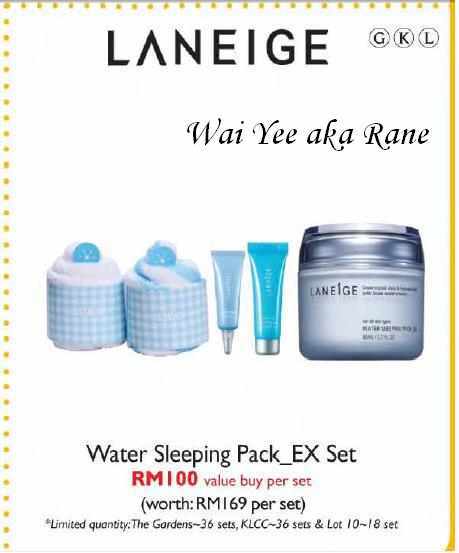 1) Water Sleeping Pack_EX at an introductory price for only RM80! 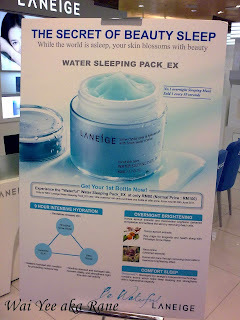 2) Buy Water Sleeping Pack_EX at RM100 on Isetan Member's Day, get RM10 voucher and freebies worth RM69! 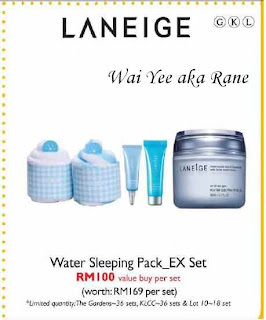 Limited sets available, faster get down to Isetan on 13th May 11, Friday for this deal!